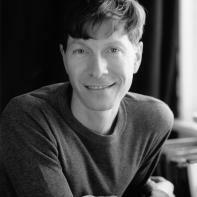 Victor Lodato is a playwright and novelist. He is a Guggenheim Fellow, as well as the recipient of fellowships from the National Endowment for the Arts, The Camargo Foundation (France), and The Bogliasco Foundation (Italy). For his plays, he has received numerous awards, including one from the Kennedy Center Fund for New American Plays. Victor's first novel, Mathilda Savitch, was published by Farrar, Straus and Giroux. The book has been translated into thirteen languages, and published in sixteen countries. Mathilda Savitch received the PEN USA Award for Fiction and The Barnes & Noble Discover Award. Superstition Review Editor Marie Lazaro conducted this email interview with author Victor Lodato. She says of the experience, "I enjoyed reading Mathilda Savitch. I couldn't put the book down. Lodato has a way of captivating his audience. I became emotionally attached to the characters he created. I want to say thank you to Victor for the opportunity to interview him." Superstition Review: In Mathilda Savitch, very dark and intense themes are brought to light through the thoughts of a young girl. Please tell us why you chose this story to be your first novel. Why did you choose a young girl to be the protagonist? Victor Lodato: I would say, rather, that Mathilda chose me. I didn't set out to write a novel about a young girl. Mathilda's voice simply arrived in my head one morning, with great force and clarity. I knew immediately that this was the voice of a girl, and I just went with it. As a playwright, I'm used to hearing voices, but Mathilda's was particularly insistent and wildly seductive. I felt, from the start, that I knew this character in my body, in my breath. The music of her voice was natural to me, and I spoke every word out loud, for years, as I was writing the book. Truly, I felt more like a secretary than a writer. Where such voices come from is one of the mysteries of the writing process, and one that I tend not to question. SR: Death plays a prominent role throughout Mathilda Savitch. It is particularly evident in the grief that the family experiences and in Mathilda's inner monologue. Please explain how death became central to this novel. VL: I started to write Mathilda Savitch in September of 2002, almost exactly one year after 9/11. I remember very distinctly the morning twelve-year Mathilda arrived in my head. The first few months of writing I wasn't thinking—at least not consciously—about terrorism or tragedy or grief. I didn't know what the story was. I was simply following the voice of this young girl, who at that point was still a stranger to me. Over time, though, I began to see that Mathilda and I had a lot in common. Whereas I began the novel one year after 9/11, the story of the book begins one year after the death of Mathilda's beloved older sister, Helene. Terrorism hovers in the back of Mathilda's world as well, and I can see now, that by borrowing this child's voice, I was able to address my own fear and confusion and sadness in a very open and innocent way. It was liberating to write in the voice of a child, from the perspective of someone who is still learning the world, and interpreting its complexities for the first time. Mathilda tells us early in the book: “Grief is an island.” One lives alone there, trapped in a private misery. By the end of the novel, she finds her way back to other people, to a deeper connection with both the living and the dead. My mother was very ill while I was writing this book, and I think some part of me was trying to prepare for how I would face her death. I suppose, through Mathilda, I somehow managed to look at what I couldn't face alone, and to look at these things as a child, without the pretense that I understood anything. SR: Please share your own views on grief and how this emotion can prompt self-destructive behavior like it did in Mathilda and her mother. VL: Well, I think, in some ways, grief turns everyone into children: innocents standing before the incomprehensible. How could someone I love vanish? Where do the dead go? How can I solve this absence? Will I ever see my beloved again? Mathilda's position is particularly tricky, because her parents fail to provide her with any map or guidance on how to grieve. Mathilda must find her own way across this dark landscape. She invents her own rules and strategies to deal with the loss of her sister—some of them quite strange. Yes, Mathilda is manipulative and seemingly cruel at times, but she feels great wrongs have been perpetrated and she is willing to do whatever is necessary to bring the culprits, as she perceives them, to justice. She often lies, not least of all to herself. SR: There is a chapter in the book that describes a terrorist attack that affects Mathilda. Did you draw on actual terrorist attacks in constructing this event? What do you think this particular subject brought to the novel? VL: For Mathilda, 9/11 is a ghostly memory from her early childhood. The terrorist attack that happens in the book is invented. At first, I considered making 9/11 the backdrop of the novel, but I wanted to push the story, gently, into the future. Such a strategy allowed me to put myself (and ultimately the reader) in the same position as Mathilda, the position of an innocent in an unsteady world, not knowing what might happen next. This seemed to increase the danger and excitement of the story. The novel unfolds in a very present-tense sort of way, with Mathilda recording events as they happen. During the writing process, I was breathing with Mathilda, breath for breath, and rarely ahead of her. In wanting the reader to have this same experience, it was useful to include certain events in the larger world that would be as new to the reader as they are to Mathilda. SR: There is a strong connection between all the women that they are not aware of. Please explain the connection between Mathilda and her mother as they journey from grief to the moment they find closure together. VL: For most of the book, Mathilda is at odds with her mother, whom she loves desperately, but at whom she's furious for having abandoned her, physically and emotionally, after Helene's death. Over the course of the novel, Mathilda begins to see her own faults more clearly and, in doing so, she becomes more forgiving of others. She moves from a merciless campaign for justice to her first fitful attempts at offering mercy. This movement, which is essentially one toward adulthood, brings her to a more grounded place, a place where her wiles and manipulations are less necessary. SR: The writing in Mathilda Savitch is very fast paced and descriptive. How does this differ from your plays? How is it similar? VL: One of the things that delighted me, in writing the novel, was the freedom to let the story unfold over a greater length of time. In a play, the magic circle drawn around the characters is usually, by necessity, much tighter. When crafting a play, I invariably find that I write more scenes than I can actually use. In a play, too much extra material, too many diversions, can be fatal, especially if these things impede the sense of inevitability, the sense that we are witnessing characters caught in the wheels of fate. And while a novel's power can be reduced by excess baggage, as well (and, in writing mine, I do think I applied my playwright's habit of precision), the form is, without a doubt, a roomier affair, one that allows the characters to have a few more detours of thought and situation. And, having fallen so deeply in love with Mathilda, I thoroughly enjoyed being able to give her a more generous life. SR: In your play Dear Sara Jane, the protagonist speaks directly to the audience. Describe the difference between seeing an immediate audience reaction versus the reaction to one of your novels. VL: Coming from the perspective of a playwright, it is a bit strange not to know how individual readers are reacting to Mathilda; not to know (as one always knows in the theater) when the “audience” is laughing and when they're crying. But I recognize, of course, that novels are different animals, and it's exciting to know that Mathilda exists as a fluid reality, her physical shape and emotional vibration shifting, the manifestation dependent upon the mind of the particular reader. SR: You have written plays, prose and poetry. Which genre would you like to spend more time on? What are you currently working on? VL: I loved writing this novel. It was incredibly challenging, and I had to use all these new parts of my brain. I'm now working on a second novel. Similar to how Mathilda Savitch began, the new one started out with only a voice, and a vague intuition as to where the story was going. As Arthur Miller once said (I'll paraphrase): there's a play in your blood and you write until you find it. Play, novel, poem, it doesn't matter what I'm working on; at the beginning, the writing is always a simple, and terrifying, act of faith. At this point, I can say the new book is about an Italian-American family in New Jersey, struggling to come to terms with a tragedy that befell them six years before the book begins. Eight-year old Edgar's father committed suicide when he was less than a year old. The boy now lives with his mother and his paternal grandmother, and is constantly navigating the tension that exists between these two women. He's also trying to learn the meaning of being a man, amidst the lies and omissions the women have perpetrated about his father. The book is essentially about a family's attempt to salvage love and kindness from the ruins of a tragic history.